La Purisima Mission was the eleventh mission built in California, founded December 8, 1787, by Father Fermin Lasuen. Its name La Purisima Concepcion de Maria Santisima means "The Immaculate Conception of Mary the Most Pure." 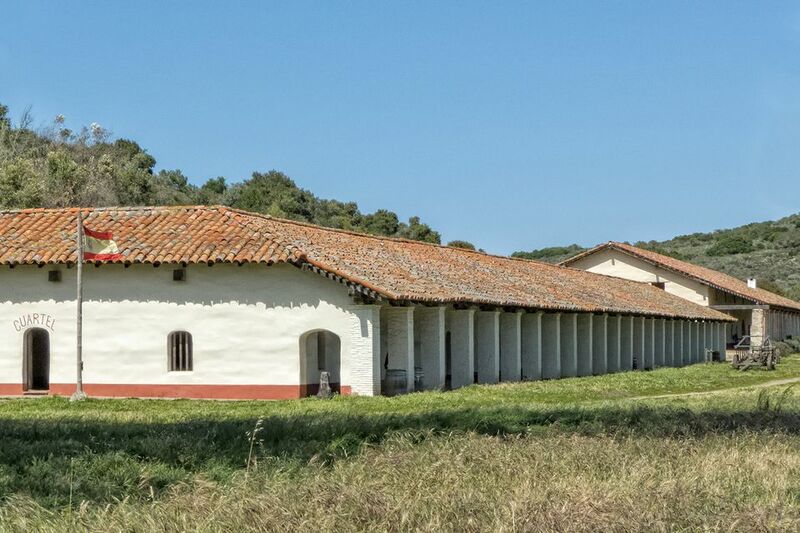 Mission La Purisima is the only mission built in a straight line. 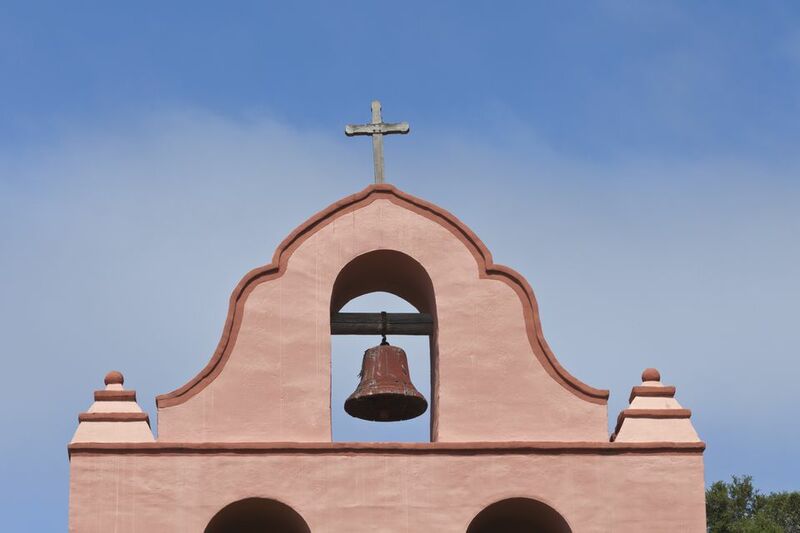 It is the most thoroughly restored mission in California. Father Fermin Lasuen founded La Purisima Mission on December 8, 1787, naming it La Purisima Concepcion de Maria Santisima, The Immaculate Conception of Mary the Most Pure. The Spanish called the fertile valley west of the El Camino Real the plain of Rio Santa Rosa, and the native Chumash Indians called it Algsacpi. Winter, 1787, was very rainy, and construction had to wait until Spring. In March 1788, Fathers Vincente Fuster and Joseph Arroita arrived at La Purisima Mission. They built temporary buildings and started translating the Catholic mass and instructional materials into the native language. A corporal and five soldiers protected the settlement. Other missions sent farm animals, food, seeds and cuttings for orchards and vineyards to La Purisima Mission. Supplies came from Mexico by ship. The natives started coming, and in a report dated December 31, 1798, La Purisima reported it did not have enough space for its 920 inhabitants. A new church building was started. In 1800, Father Horra, who was formerly at San Miguel, accused the La Purisima Mission Fathers of mistreating the natives. The Spanish governor investigated, and the Fathers at La Purisima reported about their life. They said natives received three meals a day, and also gathered their wild foods. Neophyte men got a woolen blanket, a cotton suit, and two woolen breechcloths, while women received gowns, skirts, and woolen blankets. The natives continued to live in their traditional tule (reed) houses. They worked no more than five hours a day. Neophytes were punished if they left without permission, or stole something. Punishment included beatings, shackles, stocks and being locked up. The Spanish governor decided Father Horra's charges were unfounded. In 1802, the new church was completed, and in 1804, when Father Mariano Payeras arrived, there were 1,522 neophytes. La Purisima Mission prospered under Father Payeras, producing soap, candles, wool, and leather. The Fathers also earned money by sending the neophytes to work at neighboring ranchos. In the early 1800s, smallpox and measles struck and 500 natives died between 1804 and 1807. On December 21, 1812, an earthquake damaged the buildings. More quakes followed, and most of the buildings fell. When heavy rains began, the unprotected adobe mud bricks melted back into the mud. They chose a new site, four miles away in a small canyon, across the river and closer to the El Camino Real. The Fathers officially moved there on April 23, 1813. Construction began immediately using materials salvaged from the ruined structures. Instead of the typical square layout, the new complex was built in a line along the base of the hill. In 1815, Father Payeras became Presidente of the California Missions, an office he held for four years. He stayed at La Purisima instead of moving to Carmel. In 1819, he was appointed to the highest rank among California Franciscans. After the Mexican Revolution in 1810, supplies stopped coming from Mexico, and so did money. Spanish governors would not let the Fathers buy things from foreign merchants, and there were shortages. The soldiers also grew dependent on the mission for their support and often abused the natives. Father Payeras died on April 28, 1823, and was buried under the pulpit. In 1824, the growing conflict between the soldiers and the Indians turned into an armed revolt, starting when soldiers at Santa Inez flogged a La Purisima Mission neophyte. When the news reached La Purisima, the neophytes took control. Father Ordaz, the soldiers, and their families fled to Santa Inez, leaving Father Rodriguez behind. The natives built a fort and barricaded themselves inside, where they held out for more than a month. It took more than 100 soldiers from Monterey to regain control. Six Spaniards and seventeen Indians died in the conflict. As punishment, seven Indians were executed, and twelve others sentenced to hard labor at the Monterey military fort. La Purisima Mission never recovered after the uprising, and in 1834, an administrator took over. The Indians disappeared, and the Fathers moved to Santa Barbara. The buildings were left to ruin, and in 1845, John Temple bought everything at a public auction for $1,100. The buildings lay in ruins until 1903, when Union Oil Company bought the property. Recognizing the historical importance of the site, they donated it to the state. In 1935, the Civilian Conservation Corps started restoring La Purisima Mission. They used the same methods as the missionaries and made new adobe bricks from the remains of the old walls. They also recreated the water system and replanted gardens and orchards. The restoration, the most complete of all the California missions, was finished in 1951. Today, there are ten fully-restored buildings with 37 furnished rooms in a state historic park. We don't know much about the original mission buildings at La Purisima Concepcion. After an earthquake in 1812, a new mission was constructed, and this layout shows the mission restored today. The complex is in a straight line, designed to resist future earthquakes. Stones reinforce the southwest wall, and the walls of the church are four feet thick. All the main buildings were finished by 1818. The campanario was built in 1821, but all other construction stopped. The mission had an elaborate irrigation system to bring water from springs in the hills, three miles away. During the restoration, it was recreated, using the same aqueducts, clay pipes, reservoirs, and dams as the original system had. The mission bells were made especially for the mission in Lima, Peru in 1817-1818. Other missions cared for the bells while the mission was in ruins, and they returned during the restoration. The La Purisima Mission picture above shows its cattle brand. It was drawn from samples on display at Mission San Francisco Solano and Mission San Antonio.